I had a couple of things that needed to be finished off so I got stuck in to them and finished them off. 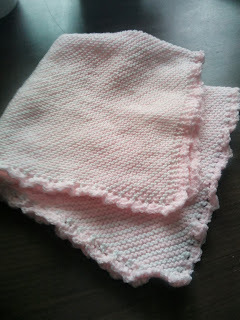 I had made this but not added the crochet border I went with Pink shells. This blanket was on my needles before all the upset so I set too and got it finished. This one is a little different. I have added a link to the pattern I used. 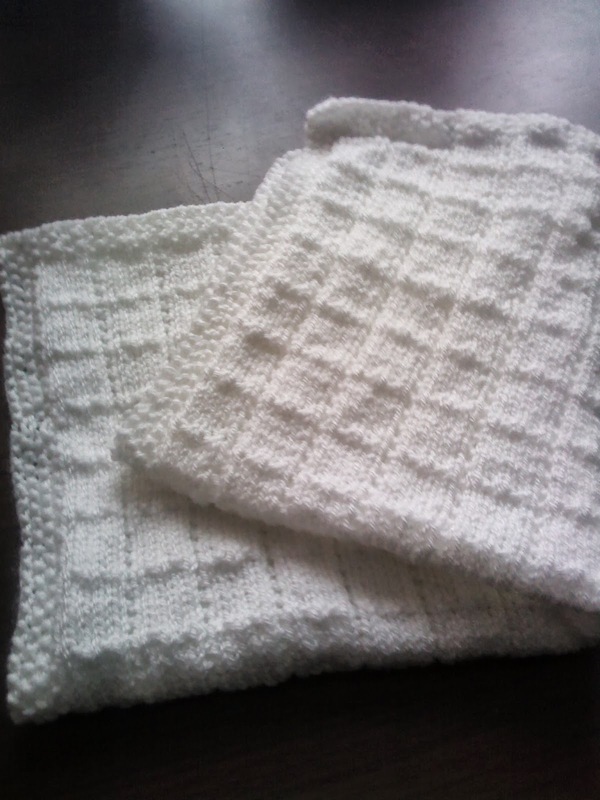 I chose to make the first on called Squares it is so easy to do and the result is a soft blanket that has a Moss Stitch border and the squares are small so it works well for preemie babies to full term. 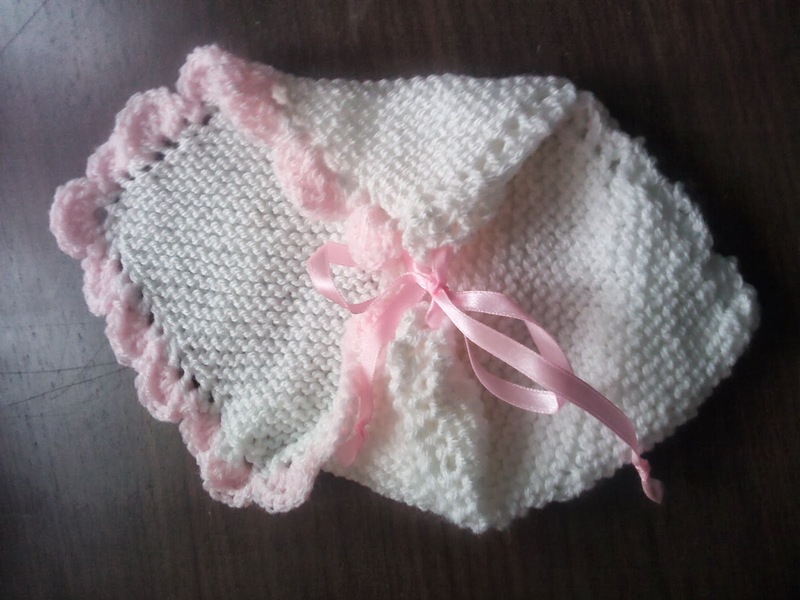 These will be given to the Neonatal unit soon as I want to make some more Angel pockets for them as they have asked for more to be made with Blue, Pink, Lemon and Peach borders. I have all these colours thanks to my friend Diana who sent me some lovely yarn. without you I could not have made these things. So I have plenty to keep me busy during October. November will see me Stash busting again as there is a Challenge on one of my Sparkpeople teams for Stash busting for the Holidays so I will be working on a knitted patchwork blanket. More on this later as I want to get on with making the Angel Pockets this month.